Build and play! See how fast you can go with one, two or no extra wagons! Load and race or assemble another train. Make speedy constructions with the included pull-back mechanism! 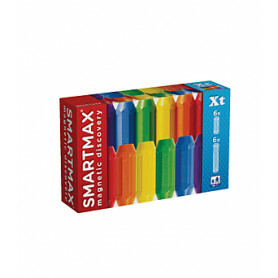 All can be combined with all existing SMARTMAX® sets. Together with the bars and metal balls, you can create an endless range of possibilities.